In the early 20th century, the concept of joint building and living developed an un-foreseen dynamic and became the initial impetus for cooperative building projects. Today, joint residential models are experiencing a renaissance, whether as building groups, owners’ associations or joint building ventures, even if to a lesser extent on a cooperative basis. Building groups or joint building ventures are popular models for all who do not with to live in single-family houses on the urban periphery. The idea of planning and building with architects for the purpose of residing together crosses all generations. Joint residency models often act as civil law partnerships (Gesellschaft bürgerlichen Rechts / GbR), non-profit associations or as joint planning groups. These owners are of great interest to many municipalities, since new and high-quality architectural solutions for virulent issues such as densification of inner-urban space, conversion, repurposing of vacant properties, but also trans-generational living models are being sought. 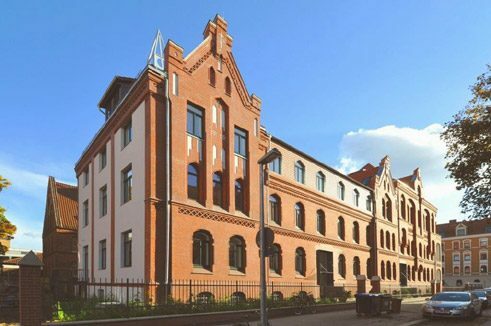 Building Group “Upper Eastside“, Braunschweig, AHADArchitekten | Photo: A. Schulz St. Leonhardsgarten is the name of the residential area on the grounds of the old tram depot in Braunschweig. It is a model project of the programme „Experimenteller Wohnungs- und Städtebau (i.e. 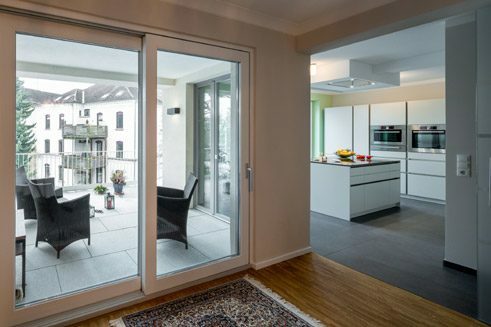 experimental residential and urban construction) by the German Federal Institute for Research on Building, Urban Affairs and Spatial Development (Bundesinstitut für Bau-, Stadt- und Raumforschung / BBSR). Here, since 2007, building groups have been integrated into an open, interactive planning and participation process and have decided on their preferred building designs through a moderated procedure. A completely new quarter has now arisen on 3.5 hectares: young, urban, individual. As if on an imaginary string of beads, 50 city homes and two multi-storey buildings are arranged around an open oval area. 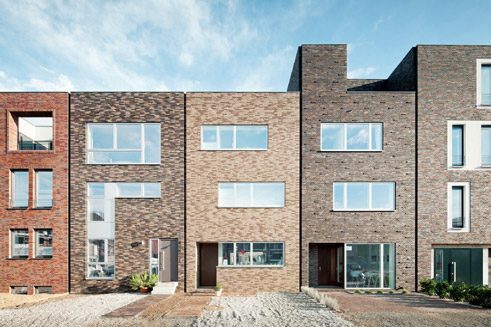 It is as if a bit of contemporary Dutch construction culture has been wafted over by a fresh new wind; there’s so much brickwork in all varieties to be seen here. 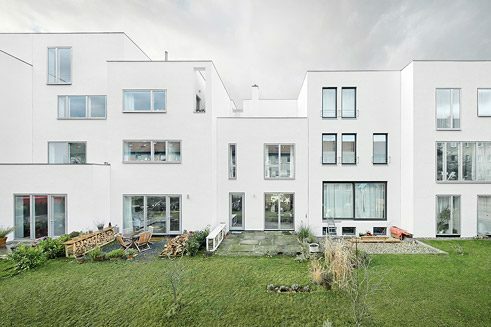 Building Group “Upper Eastside“, Braunschweig, AHADArchitekten | Photo: A. Schulz One of the city home building groups calls itself “Upper Eastside“. 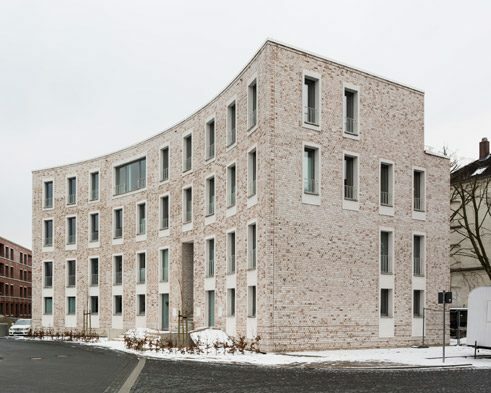 These four-storey residential building, completed in 2011, were planned by the architect couple Katja and Sascha Ahad (Braunschweig). They have moved here, too, together with their offices and family. Working and living are under one roof and yet clearly separated from each other. 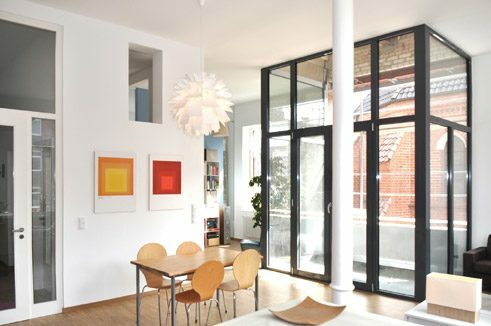 The work spaces on the ground floor are entered through a separate door, the living spaces are reached via a narrow staircase of exposed concrete. The two architects have made a reality out of the fact that residing is not exhausted by the functions of cooking, eating and sleeping, but also involves rooms and spaces as experience, not only for themselves, but for all the owners in the building group. Generous roof terraces and balconies underscore the individual character of each city house. The architects had originally developed standardised floor plans, but this changed in the course of numerous discussions with the building group. Today, each partner has his or her own home, but there is much that they share. Construction materials were purchased jointly, the bricks were selected together, to minimise costs. Building Group “Insulaner“, Braunschweig, Schmitt von Holst Architekten | Photo: Marcus Ebener The building group “Insulaner“ (i.e. islanders), which resides in one of two multi-storey buildings in St. Leonhardsgarten, was founded in 2007 as an association (Verein). Joint, trans-generational planning, building and living, thereby cutting costs as well, was the motor for all to become members. Not all of the members stayed on from the joint decision for the design of the Berlin firm Schmitt von Holst to the start of concrete construction planning in 2010. Building groups entail a great deal of internal communication. Members get to know each other very well before moving in, and are able to see if they suit each other both as owners and as neighbours. Building Group “Insulaner“, Braunschweig, Schmitt von Holst Architekten | Photo: Marcus Ebener Twelve flats in different sizes ranging from 70 to 160m² for seniors, singles and young families are included in the four-storey building. 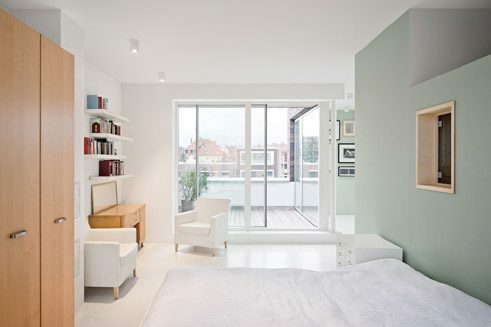 That each flat has an individually agreed-upon, barrier-free floor plan and unique design cannot be seen from the street. The light-coloured brick façade is dominated by an even rhythm of vertical window openings framed by whitewashed border strips. Building Group Bennostrasse Hannover, k+a architekten | Photo: Hartmut Möller In the case of the renovation of the landmarked former Catholic hospital and nursing home, St. Josef, on Bennostrasse in the Hannover district of Linden, the stages of founding the building group, application to the city together with the architect, selecting the concept and starting construction also involved a great deal of discussion. In February 2010, the group, with its concept by k+a architekten of Hannover, submitted their application to the city as part of a call for project proposals. Approval came in June. The planning group now had six months to clearly define their goals, submit the building application and arrange the financing. Building Group Bennostrasse Hannover, k+a architekten | Photo: Hartmut Möller The 2011 renovation began in the organisational form of a planning GbR. This GbR was changed into an owners’ association for the purpose of purchasing the residential units. 13 flats between 80 and 150m² with completely individualised, in part barrier-free floor plans, maisonette flats on the top storey, with loggias and balconies facing the inner courtyard, private and community gardens have arisen here. That these efforts have paid off is shown not only by the friendly and sociable neighbourhood but also by the successful architecture. Through their circumspect renovation concept, k+a architekten have restored the original appearance of the building, and thus not only sensitively preserved the historic ensemble of church and school, but also successfully upgraded the entire quarter. Ute Maasberg is a curator and publicist. She lives in Hannover.